I want to be a Masterchef. Since early childhood , the younger persona of The Wacky Duo had a penchant for being the master of the kitchen. From our earlier ventures of culinary discovery ( aka cooking workshops ) , he had expressed his keen interest in food preparation and presentation. Each session was greeted with eager anticipation prior to the classes and met with full concentration during the workshop . The boy was serious about his ambition . As a parent , as much as I desire a doctor or a lawyer in the family , I would think it is best left to the child's devices in figuring out what he wants in life . Since he had shown he had an affinity with food, we do encourage him whenever we could . 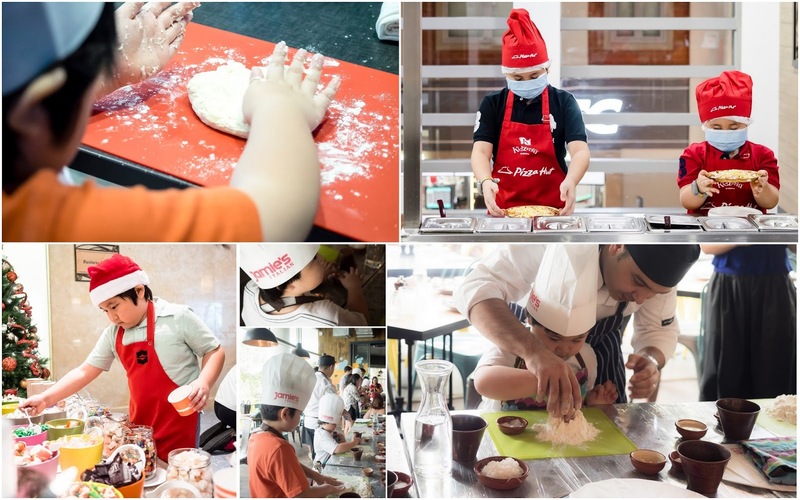 However, even if we want to bring him to cooking workshops every week , it can be quite a constraint given our tight schedule (and limited budget ). 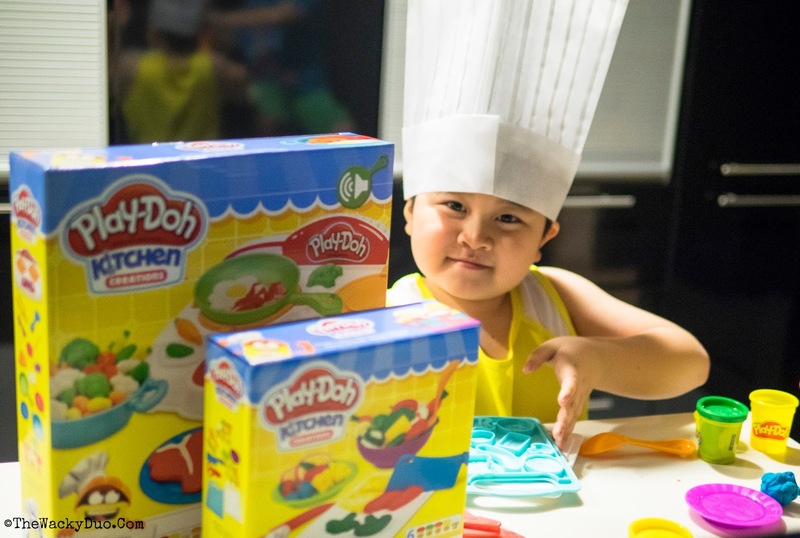 Hasbro latest PLAY-DOH Kitchen creations might fill the gaps in between such workshops . 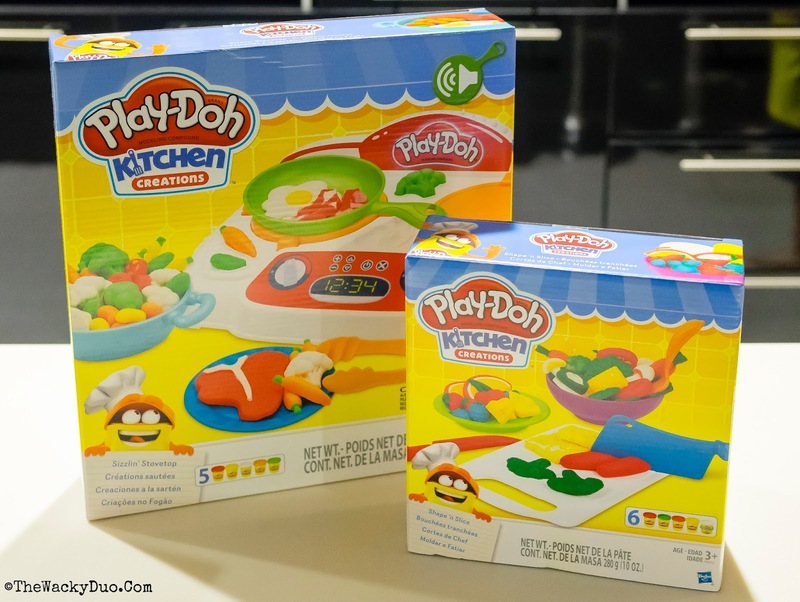 With the Shape N Slice, Noodle Makin Mania and Sizzlin Stovetop, it brings the kitchen to the child right in their own playroom . The Shape N Slice lets you prepare fruits , veggies, meats and more. The Noodle Makin Mania lets you create pasta and ramen . Last but not least, the Sizzlin Stovetop lets you cook up your creation with a cooker that makes real sizzlin sounds! With these kits , you can use your imagination to create your own delicacies . The masterpieces might be inedible but it does give a sense of what food preparation is all about . Explore the child's creativity as they decorate their dishes from their own individual flair and artistry. Best of all , you need not clean up the mess it the kitchen ! If you think your child has that talent to excel as a chef , why not enroll him or her in Hasbro Kitchen Creations Workshops* to hone their hidden talents. The workshops will be conducted from 13-19 March at Parkway Parade (Basement Atrium). Workshops are for children age 3-10. . It may not be as delectable as a cooking workshop but it is definitely worth a bite ! *Min spend $50 to participate in the Workshop.